Ask a Korean! : What do Korean Last Names Mean? What do Korean Last Names Mean? What do Korean last names mean? I mean, I know most of them come from dynasties—but what does Kim mean? Pak? Cho? And others? I can't believe they exist sui generis! Here in AAK!, the most important policy is that the Korean will do whatever the hell he wants with this blog. The second most important policy is this: whenever Gustavo Arellano, i.e. the Mexican, i.e. 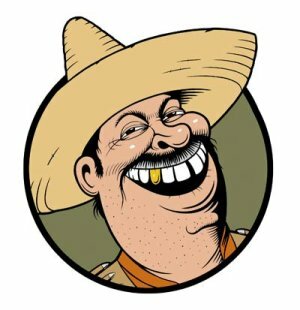 the owner of ¡Ask a Mexican! and the inspiration for this blog, sends a question to this blog, that questions gets answered as soon as possible, no matter how long the line is and no matter what the question is. That is right, the Korean has answered numerous questions about Korean names before, but what does it matter? When the granddaddy of all "Ask" blogs asks your blog a question, you answer. That's it. So what do Korean last names mean? Let's put it this way: Korean language has a Chinese backbone, as just like English has a Latin backbone. In other words, while there are plenty of Korean words that have a stand-alone meaning in Korean, a lot of Korean words have a meaning that one must refer back to Chinese to understand -- that is, those words are Sino-Korean. Sino-Korean words tend to appear in clusters in a given word group. For example, Korean law tends to be heavily laden with Sino-Korean, just like American lawyers speak of a sui generis action that should be so obvious that it is res ipsa loquitur, for example. Name is another area in which Sino-Korean tends to dominate. Although pure Korean names are gaining popularity in the last several decades, the overwhelming majority of Korean names are Sino-Korean. In fact, this type of questions hits the Korean's inbox fairly frequently: I have a Korean name; what does my name mean? (In most cases, the questioners are adoptees who are attempting retrace their roots.) And usually, the Korean's answer is: unless you know the what Chinese characters were used for your name, the Korean can't really say what your name means. Korean last names are 100% Sino-Korean. That is, all Korean last names have an underlying Chinese character. So the meaning of Korean last names are basically the meaning of the Chinese characters underlying those last names. 김 [金] [Kim] - Gold. 이 [李] [Lee] - Plum tree. 박 [朴] [Park/Pak] - Magnolia tree. 최 [崔] [Choi] - Pinnacle. 강 [姜] [Kang] - Ginger. 조* [曺] [Cho] - Group, companion. 윤 [尹] [Yoon] - To rule. 한* [韓] [Han] - Korea. 임* [任] [Im] - To be in charge. *Chung, Cho, Han and Im/Lim are interesting oddballs -- each of those last names actually has two or more different Chinese characters, which are pronounced the same way in Korean. So there you have it, Mexican. Catch you next time. My boyfriend's last name is "정," however the Chinese character used for his family is [丁] instead of [鄭]. Is there any specific reason why this could be? Perhaps the different Chinese characters came from the separate "정" family lines back in the day? Thanks for making that note. Corrections are made. I just realized something strange. How come 金 can be either 김 (last name) or 금 (every other time I see the 金 character/the metal gold)? Well that's because it's a Chinese character... Even when you speak Chinese, often the same characters have different meanings and pronunciation. The character 金 has two meanings in Korea, the name Kim (김) and gold (금). Relatively few Chinese characters have multiple pronunciations in Korean. In Japanese, however, the same Chinese character can (and often does) have multiple pronunciations. And this is not just because of the added kun-yomi - they often have multiple on-yomi readings. Yup, that was a mix-up. Corrections were made. Just nitpicking here, but I don't think you can say that the relationship between Korean and Chinese are quite the same as the relationship between English and Latin. But of course you know that. However, your explanation might lead some to believe that Chinese is a parent language to Korean and Latin is a parent language to English. Neither are true. Latin is definitely a parent language to French, however and I think that it would be somewhat accurate to suggest that the relationship between English and French is similar to that of Korean and Chinese. This similarity being that they are not related languages but one language has borrowed vast amounts of vocabulary from another. This is why English contains so many words that are based on archaic French such as anything ending in -ment or -able. Latin itself is only intelligible to those in science, law, or Catholicism or anyone who studied Latin for other reasons. However, it is entirely possible to give an educated English speaker some script in French and that he would be able to pick out at least 30 percent of the words as one he recognizes. In respect to Korean, again it borrowed a lot of words from archaic Chinese but is not related to it. (In fact there is much stronger evidence that Korean and Japanese are more closely related, though this has not been proven, so it is a theory at this point). The difference is that the Chinese writing system is not an alphabet, so unless a Korean speaker has extensively studied Chinese characters or has someone read them to him with a Korean pronunciation, a Chinese text would be unintelligible. That all said... I think you answered his question just fine, but just wanted to make sure that people understand that you don't mean Korean Language (and by extension, Korean people) are the decent ants of the Chinese. Eugene - to be more specific the yellow/gold in Whang/Hwang refers to the color of soil which is a red/orange/gold. Maybe you come from a different branch but I'm a Pyeongtaek/Sangju Whang-si which are mainly farmers and ties in nicely with the deeper meaning of the name. It appears that you and I have heard different versions of the story. I come from the Pyeonghae Hwang clan which traces its ancestry back to a single Chinese ancestor, and it was my understanding that the yellow was indicative of the color reserved for Chinese royalty. Now, I'm not saying you're wrong, as that also makes perfect sense, and also a lot of peoples' family lineage is made up to make your own branch or family seem more important, so I'm sorry if this explanation sounds pompous. Here is a shameless plug to my own blog where I talk about it. Can't quite figure out why it won't show my name. Whatever. It's interesting to hear of 황si's from different parts of the country. When I lived in Korea I tried to catch up on all the family history I missed and it had been explained to me that our branch (the Pyeongtaek branch) were all from Sangju where the original 황si's had started in 146X. As for color of soil thing - I actually got that from taking 黄 and breaking it down to it's base radicals. Take a look for yourself, I think you'll be pleasantly surprised how much further you can break down the 'base' Chinese. Yes, good radicals, grass and field. They tell me that during the Japanese occupation, in a clever attempt to keep our name the same while still taking a Japanese name, my relatives chose the name Tomoda...共田, where they took the radical out of the center and wrote it beside what was left. I am sure that there are several branches of Hwangs that may claim to have been the originals, but if my Jokpo is accurate then we started in 28AD which precedes your 1460's claim by about 1440 years. But only the LORD knows how accurate any of that stuff is. Sorry, this is the article I had originally intended to link to. 1. Use the link to find your character. 2. Find a Chinese-English dictionary if you don't know what that character means. Many of those words are common Chinese last names as well, such as 李, 鄭, 趙, 林, and 漢 (and somebody else in the comments is a 黄, as was my Chinese grandmother). Was it common for Chinese people traveling to Korea to found families (as Eugene alleges for his family), or did Koreans just borrow some common last names found in the Chinese language? According to the official story the dude had originally wanted to go to Vietnam but became shipwrecked and settled in Korea. Anyway there was a time where tracing your lineage to Yangban or to Chinese made you more elite back when Korea was a tributary vassal of China so a lot of chokpos bear fabrications that establish Chinese ancestry. These fabrications originated in that period. This is why these days it is impossible to know if your chokpo is accurate especially if it traces back to Chinese nobility somehow. My chokpo also somehow makes me a blood relative of Yi Sun Shin so I really don't know what to believe. I was wondering about this. My father says according to our genealogy, we are descended from a Chinese doctor who immigrated sometime in the 13 or 14th century to Korea. I wonder how much truth there is to this, as the family on my father's side has a pretty rural background, i.e., they are kinda country bumpkins. According to that webpage I linked to earlier, I am the 39th generation of the gemgyeo gongpa, which means you are 11 generations before me! Our family didn't strictly follow the dollimja, so that's why I am Yujin and not something involving "奎". I'm also a man, so I have a very feminine name if one considers this from a Korean name standpoint, but it's one of those names that works in both languages. anyone have any idea what 명 means? A way less common surname. John Myung is the bass player and a founding member of the progressive metal group Dream Theater. So there is a fairly well known Korean-American named Myung. Thanks, Eugene. I was coming on to make more or less the same point. The Chinese:Korean::French:English analogy is about as good as you're gonna get in historical linguistics. Yes, one big similarity is the extensive borrowing of vocabulary, which sometimes thoroughly replaced even native Korean words for ordinary things, e.g. 산 'mountain' replacing 모이/뫼. (An older acquaintance of mine has the awesome hanja-free given name 설뫼 'pine mountain'.) In many other cases, near synonyms were produced in Korean as in English, providing a lot of subtlety in word choice. (사람/인간 for 'person', 뜻/의미 for 'meaning', 나라/국가 for 'nation' all have different shades of meaning.) Yet there are numerous other parallels, such as in phonology: French influence is largely responsible for English development of voiced fricatives (v, z, th in "the", g in "mirage") to contrast with the Old English voiceless ones (f, s, th in "thick", sh). Chinese influence is largely responsible for Middle Korean developing tensed (double) consonants. Finally, names! Old English given names are still around, like Harold and Alvin and Blake, but they're nowhere near as common as the French-derived John, William, Thomas, or Michael. Seo mean west, I believe. The first 4 names on the list, Kim, Lee, Park, & Choi are uniquely Korean names. All other names are distinctly Chinese. Yes, there are Chinese Lees too AND some of them live in Korea. But there is a unique Korean Lee lineage as well just as there are for the other 3 Korean names. I'm Taiwanese-Chinese, and my name is "陳小范". How do you write and pronounce it in Korean? I should make a correction. 丁 in ancient Chinese (and I would assume Korean) didn't mean nail. It referred to a man, usually a strong, young man. Kim (金) means gold in Chinese. It is a very commonly found Chinese surname. Actually all Korean surnames can be found in China as well. It's only common in northeast provinces. I'm almost sure that Mr. Kim will be Mr. Boyd/Bowie/Dwight/Hewitt/Flynn/Kelley/Rubio or whatever! what about 나, 차, 양, 안, 전, 남, 신, 송 and 성 ?? My middle name is Yang-Cho. Do you know what this means? Which one is it? Or is it something else entirely? Among the three candidates, the first one, 민아, seems best as a Korean name. it neither has bad meanings nor sounds weird in Korea. Also, Seo (서) has the following meaning as surname: 徐 an ancient Chinese country or slow. is there a last name in korean that means Long or using the chinese character for Long (dragon)? and how would you pronounce the chinese character in korean? my first name is Austin however i am a female so i go by ausie. is there a way to make austin or ausie korean? the english stylized version for them maybe?